The Books of June | Damian Trasler's Secret Blog - Do Not Read! June has been a pleasant month, especially when compared to the misery of last year – We had Juneuary last year…. This time around it’s been better because of the good weather, the visit of my In-Laws (which was great) and the new job (which was unexpected). 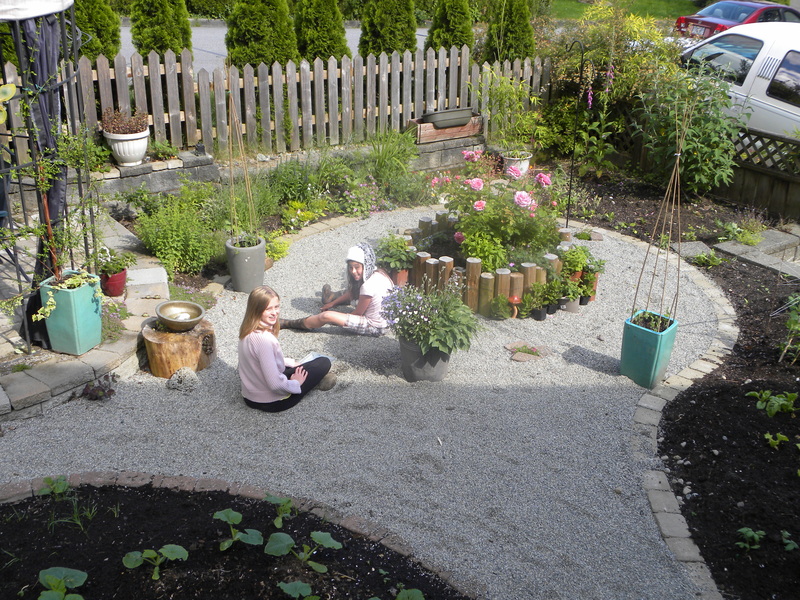 The return of the sun has permitted the Weasels to enjoy the garden. 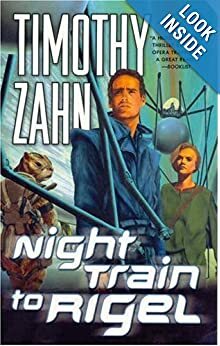 I really enjoyed Timothy Zahn’s Star Wars novels, so I thought I’d give this trilogy a try. It’s a private investigator story, a real Bogart Knight Errant, once a man of the Authority sort of thing. I liked it, but found the politics a bit heavy going, and the hard sci-fi made my brain hurt a little. The idea of real tubes of metal through hyperspace carrying trains….Too much material, I thought. 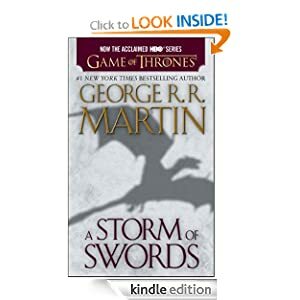 A long time ago, I had the chance to read the screenplay for the first episode of the TV version of “Game of Thrones”. It was good, but ended too soon, and I wanted to read more. Naturally, I took the book out of the library, but re-reading material I’d already seen in the screenplay was dull, since the book made much heavier going of it (compared to the screenplay, which is by necessity faster and more superficial) I gave it up as a bad job. Since then, I’ve been kept informed of the rough progress of events on GoT by my friends on G+, and when the storm broke about The Red Wedding, I had to go and find out more. 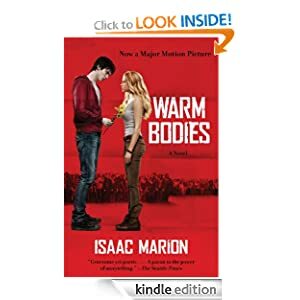 Reading the third book without having read the others was tricky, and it wasn’t until I was about halfway through that I felt comfortable with all the characters. It feels like George RR Martin is playing a chess game on a board that has seventeen sides, and he’s doing it in the back of a van driving fast down a cobbled street. And he’s wearing a blindfold, and the rules change every ten minutes. That said, I’ll be having a go at book four at some point. Just to see who else dies. To be frank, there aren’t many people left. Zombies. Love ’em, even if I don’t get to watch many zombie movies these days. I loved the trailer for this movie, and was delighted to find the book delivers even more. There’s the humour, the unique premise of a zombie being “cured” by love, but also some deep philosophical thinking about what life is and how we choose to live. Best of all, I left this lying around carelessly and Middle Weasel picked it up and read it (in three days! That’s my girl!). Now she’s not so bothered about zombies, at least in daylight. I don’t think I’m ever going to watch the movie of this story, even though I like both the leads. The book was easy to read, but the story is tough, coming from the point of view of someone suffering from a traumatic head injury and a fairly sad life too. His up-beat outlook doesn’t quite cover all eventualities, but it’s worth sticking it out to the end of the book. Mainly because you’ll have an idea how his accident happened, but you don’t get it confirmed until you reach the last chapter. I haven’t read a graphic novel for a while, and the cover of this one looked like it promised to be fun. And it was! 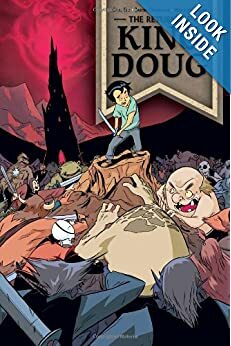 Doug visits the kingdom of Valdonia as a boy, enjoying himself as he escapes from the real world of his parent’s holiday home, down the well and into the magical land beyond, but when the creatures who live in Valdonia ask Doug to lead them in rebellion against the Evil Queen, he runs away. Years later, Doug is living a loser lifestyle, failing to be a responsible father to the child he shares custody of. When that son finds the entrance to Valdonia and is captured by the Queen, Doug must – finally – face up to his responsibilities as a ruler and a Dad. Some time ago, someone on G+ posted this article about fantasy novels that are good despite their bad cover art. Mrs Dim said we should track some of them down and give them a go, but every time I found myself in the library, I had forgotten to note any of the titles. 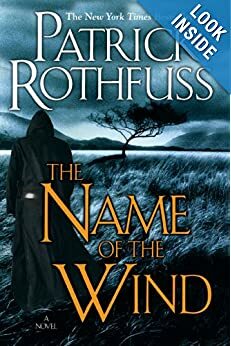 The only one I could remember was the name “Patrick Rothfuss” and so I got hold of this book. By then Mrs Dim was stuck into another novel, and didn’t have time to read it, so I tried it. It’s a fantasy epic, it’s really, really big in scope, though it’s the story of one man. The clue to the scope is the fact that this book could crush a small pony if dropped from the height of four feet, yet it is only “Day One” of the three days the main character is taking to tell his life story. There’s a whole world and tons of history and myth woven through the tale, so the best thing to do is just nod and let it flow through you. I ground my teeth in frustration more than once, but at the end of the book I made a note to get the next in the series. It’s about the same length and is subtitled “day two”. Frankly, if there was a pamphlet with a summary of events, I’d be happy with that. I’m the kind of person who flips to the back of a gloomy novel to see if it’s worth reading right through to the end. And if it isn’t, I’ll give it up. Life is short enough. I mentioned that my In-Laws came to stay. They have a fondness for second-hand bookstores, and I drove them out to one of our local stores one rainy afternoon. 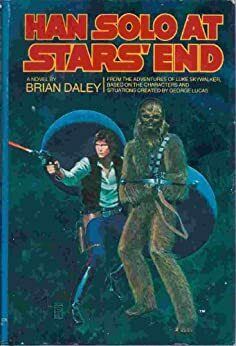 Thus I got to browse the sci-fi and fantasy shelves and found this wonderful book that goes with the other two Han Solo books by Brian Daley that I have reviewed in past months. Now I have the whole trilogy again and it’s like revisiting a beloved former home. Also, this is the book that first mentions the Z-95 Headhunter, something that Lego have just produced as a kit because it’s featured in the Clone Wars tv series. I love canon consistency! I love collections of short stories. For one thing, it’s easy to get to the end of a tale and put the book down when you have something to do, which is harder with chapter books (Just one more! Just one, then I’ll start…) For another, if the quality is good, it’s like reading a dozen novels in a row. 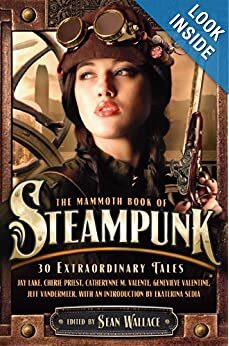 This collection only had a couple of stories that didn’t pull me in, though Steampunk seems such a vague genre that the stories vary wildly in time, location, technology, character and outlook. If you haven’t tried Steampunk, this might not be a bad place to start. This post being late, I’m already into my next set of reading. What’s on YOUR bedside table right now? 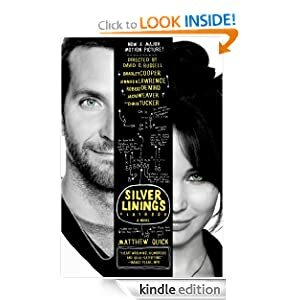 This entry was posted in Book reading, Writing and tagged Game of Thrones, George RR Martin, good novels, Graphic novels, Han Solo, Reading, short stories, Silver Linings Playbook, Star Wars, Steampunk, The Red Wedding, Warm Bodies. Bookmark the permalink.